Located in the heart of downtown Vancouver, literally next to the Rogers Arena is a Costco. We had time to kill before the Ducks vs Canucks game, so we went to check it out. It was set up like any Costco, with the clothes and electronics at the front of the store, books and music in the middle, and the seasonal items near the back by the meat section. 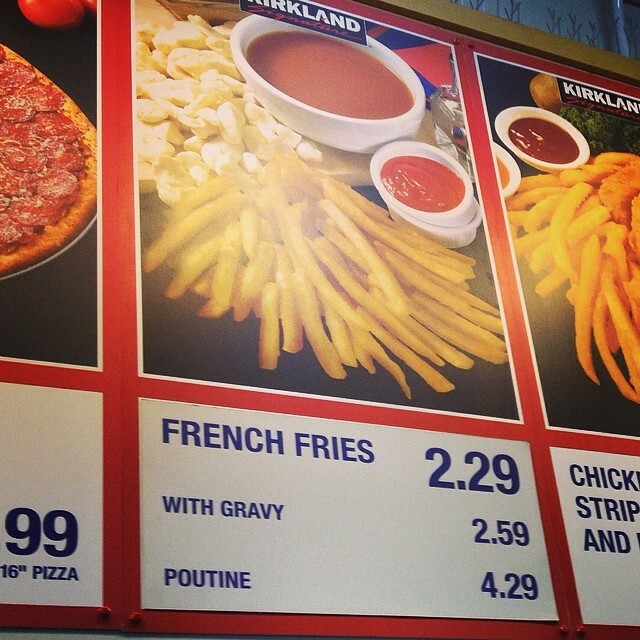 One thing that this Costco had, that I have never seen in California was poutine served at their food court. In fact they also had chicken strips and fries, which I don’t think my Costco has either. 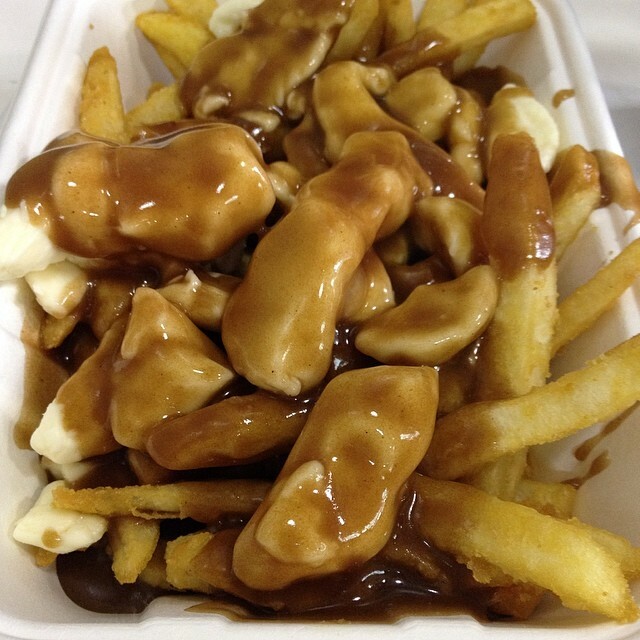 Poutine is a Canadian dish, originating in the province of Quebec, made with french fries and cheese curds topped with a light brown gravy-like sauce. We did end up getting an order of poutine to share before the game, and it was delicious, not to mention inexpensive (but what do you expect from Costco?). I’ve decided to make it a point to stop at a Costco the next time I am back in Canada. Cheap eat and something you can’t find in SoCal. The Costco in California needs this!